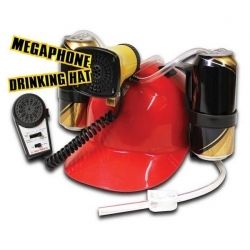 The Megaphone Drinking Hat combines the real mans favourite hobbies, drinking and being loud! 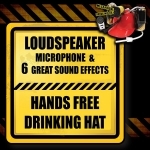 This bright red hard hat style hat holds their cans of beer, lager or cider so they can drink them through a straw, and a megaphone that they can shout through when the beer runs dry! This makes a great gift for that lager lout in your life and a hilarious addition for a lads weekend or a stag do, the stag will just love wearing this "hands free" hat, as they sit back and drink their beer with the handy straws, without lifting a finger! 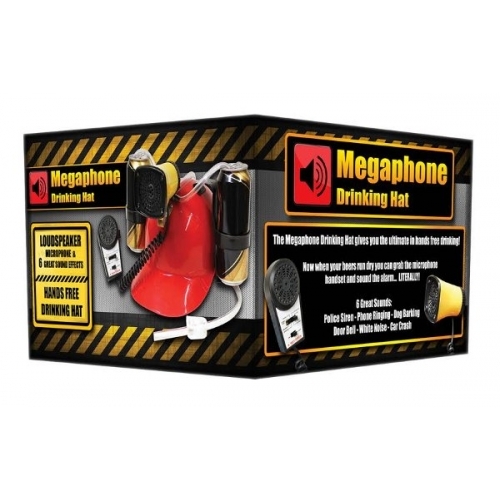 The megaphone hat not only features a megaphone so the recipient can bark their bar order out, but it is also complete with a barking dog sound, police siren, white noise, car crash and a phone ringing! 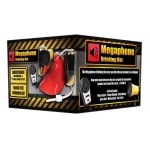 We guarantee this will get the lads laughing as it becomes the talking point of the night! 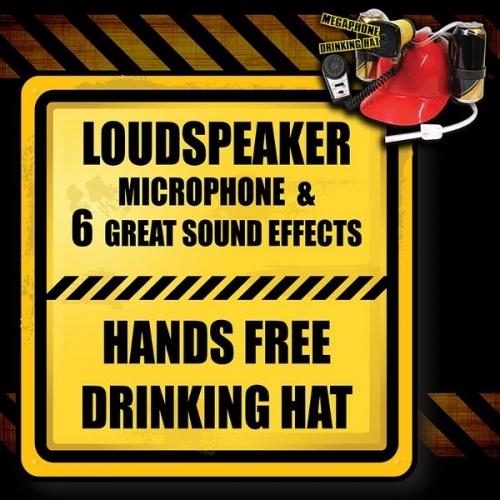 Hold onto your "hard hats" boys! Note: Beer is not included.